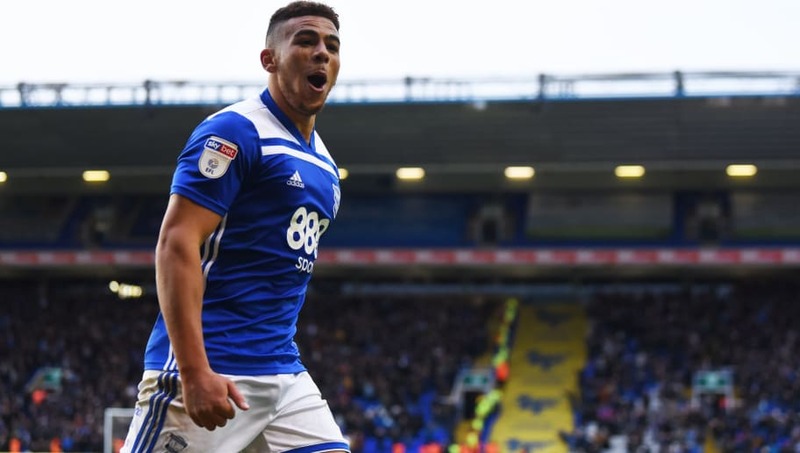 ​Birmingham City striker Che Adams is wanted by three clubs who want to bring him to the Premier League next season. Burnley, Crystal Palace and Southampton are all reportedly interesting in signing Adams, who is expected to depart for another club in the summer. According to a report from ​The Telegraph, ​Burnley and ​Southampton have been scouting the 22-year-old for some time and are both set to make a bid for him in the summer. Southampton manager Ralph Hasenhüttl was asked about Adams and said: "I don't want to discuss any personality. We were linked with him in the winter transfer period. We have eyes on a few young players who fit our shape and philosophy and we are mainly looking for younger players. First we have to be safe." The report also states that ​Crystal Palace are looking for a new striker as they cannot afford the wage demands of on-loan ​Chelsea striker ​Michy Batshuayi, leaving them unable to make his deal permanent. Palace are also looking to bring down the average age of their squad and Adams fit the profile, although he is expected to cost in the region of £15m. Adams has been prolific in the ​Championship this season, scoring 22 goals for ​Birmingham City and is considered to be one of the best young talents outside of the ​Premier League. He started his career at non-league clubs Oadby Town and Ilkeston before moving to ​S​heffield United in 2014. He spent three years with the Blades before signing for Birmingham City for around £1.5m in 2016. After failing to hit double figures in his first couple of campaigns with the Blues, he has been in excellent form this season, earning him a place in the EFL Championship Team of the Year. Despite his form, Birmingham sit in 18th place in the Championship, just six points clear of the relegation zone after suffering a points deduction earlier in the season for financial fair play irregularities.